Big Ben. Mike and Gray in London.. Wallpaper and background images in the Monty Python club tagged: monty python graham chapman michael palin big ben london the flying circus season 4 nationwide police helmet. 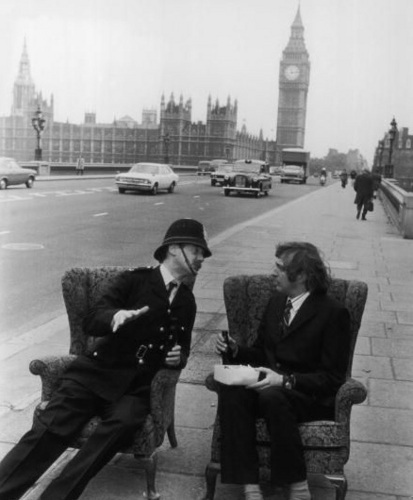 This Monty Python photo contains park bench, street, city scene, urban setting, and business suit. There might also be business district, downtown, and carriageway.